Lednor of St. Louis, Mid-Missouri and Kansas City has been solving rain and gutter related problems for homeowners for over 35 years. We understand the importance of controlling the water around your home and having it go where you want it to go, not where it wants to go. Our knowledgeable sales staff are focused on consultative, problem-solving processes to determine the best way to solve the issues your home is experiencing. Our installation staff is just that, ours. We would never sacrifice quality by subcontracting the work on your home. With more than 70 years of combined experience, our factory-trained & certified technicians will do the job right the first time. More than 14,000 of your local neighbors have chosen us to end the nightmare of cleaning gutters forever by installing Gutter Helmet on their homes. We take great pride and responsibility in being a part of the local communities we serve. We are continually involved in fundraising efforts for worthy causes and enjoy giving back to those we serve. 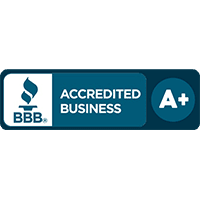 We are A-Rated with the Better Business Bureau and our reputation is second to none. Our focus is totally centered on providing the best customer service experience before, during and after the sale. We would be happy to provide you referrals from your neighbors about their experience with our company. We know we are not the only company in our industry and appreciate the opportunity to earn your business. 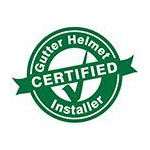 For more details about Gutter Helmet products, call us at (800) 824-3772 today. You can also fill out our online form to have us come pay your home a visit and provide you with a free estimate!